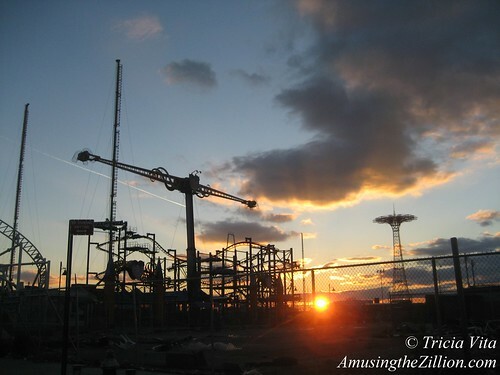 While putting together “Amusing the Zillion’s Top 10 Coney Island News Stories of 2012,” we considered doing a fave unposted photos of 2012 feature but there were too many pix to choose from. If a photo isn’t or doesn’t become newsworthy, it often gets overlooked. Since there’s a post-holiday lull in the usual Coney Island Melodrama, here’s an album of quiet photos from early December. 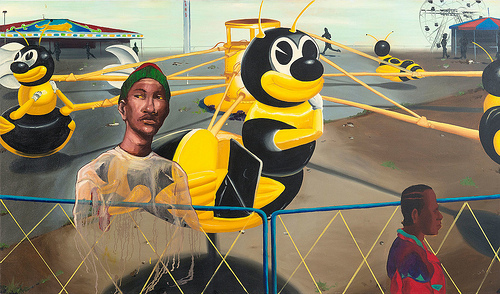 What these images have in common are pieces of the Coney Island skyline. 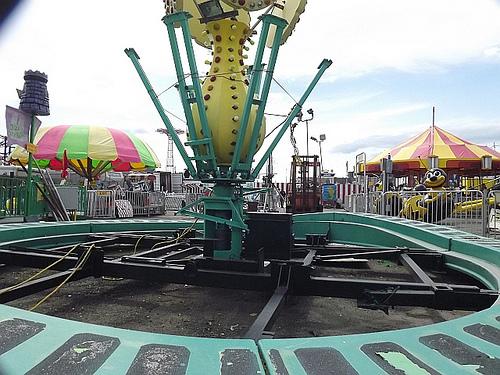 Hoax photos from Hurricane Sandy of the Parachute Jump snapped in two and real photos of a coaster underwater in Seaside Heights have visitors coming to ATZ to find out if Coney Island’s rides survived. The answer is yes! Coney Island’s rides will open for the 2013 season on March 24th, Palm Sunday, with a complimentary spin on the Wonder Wheel. 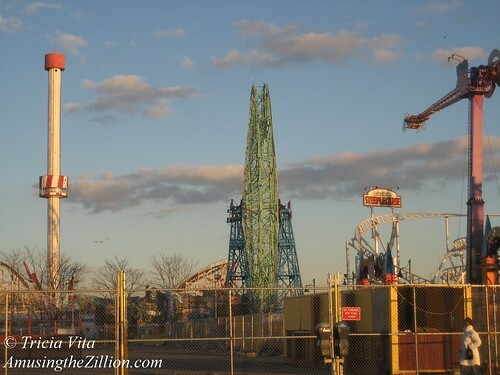 Seen in the photo above from left to right: the Astro Tower, which is no longer an operating ride, but will be lit with LEDs; the Cyclone Roller Coaster; Deno’s Wonder Wheel, minus its cars, which are removed for the winter; and Scream Zone’s Steeplechase Coaster and Zenobio. 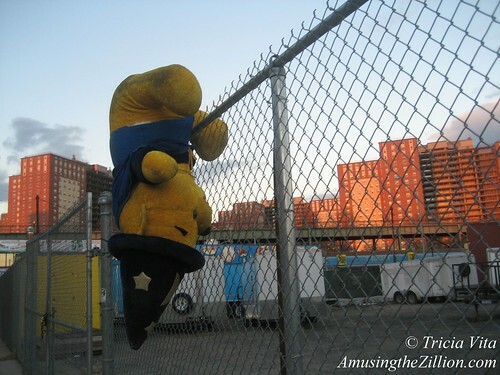 This surreal image of a discarded carnival prize in post-Sandy Coney Island was just too sad to post on the day that we snapped it. A big part of it was the game that it came from is owned by a friend. 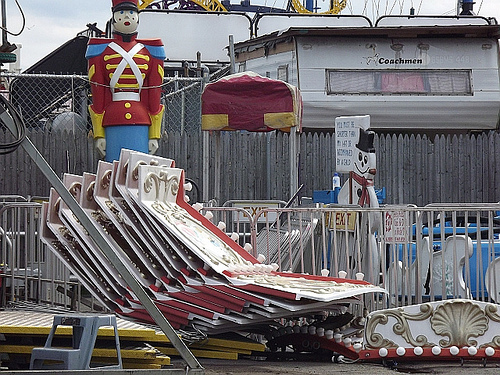 The storm-damaged plush bear and fellow prizes were photographed here and there in the amusement area before being carted away. Even sadder was our last look at the last remaining ride sign in McCullough’s Kiddie Park, which had been torn down and was being trucked away. The Bumblebees, Kiddie Ferris Wheel and Himalaya are all gone. Today, there’s an empty lot where the kiddie park existed since the 1960s. As ATZ reported in September, the McCullough family operated amusements in Coney Island for four generations and are related to the Tilyous of Steeplechase Park. They closed the kiddie park, their last remaining business here, after being unable to come to an agreement on terms for a lease extension with property owner Thor Equities. 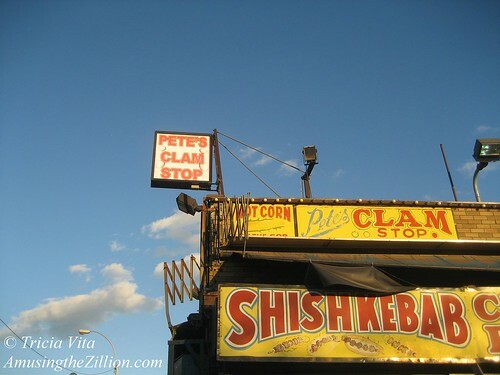 On the bright side, Pete’s Clam Stop and its old school signage on Surf Avenue at 15th Street is here to stay. Along with Williams Candy next door, it is owned by Peter Agrapides, who has worked in Coney Island for six decades. 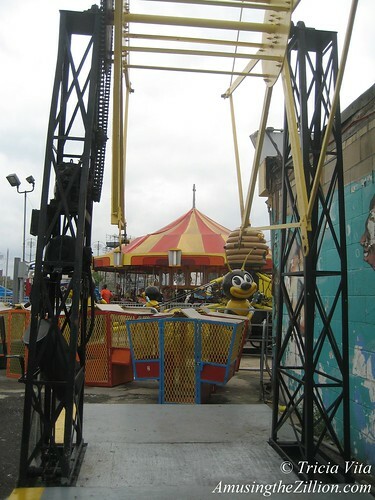 On Monday, workers at McCullough’s Kiddie Park at the corner of West 12th Street and the Bowery in Coney Island began dismantling the little yellow wheel and the Herschell carousel under the gaze of the Bumblebees. 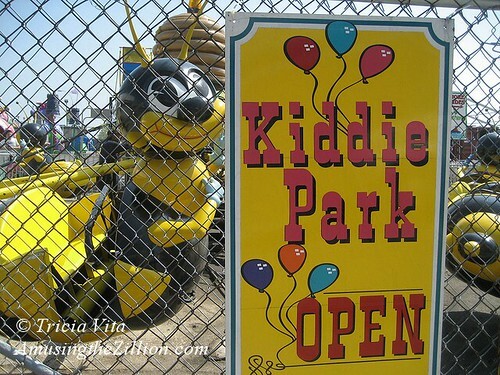 As ATZ reported last month, the park’s lease with property owner Thor Equities ended this year (Exclusive: McCullough’s Kiddie Park Closing After 50 Years in Coney Island, ATZ, September 4, 2012). Since the parties could not agree to terms of a lease renewal, Jimmy McCullough, who is Coney’s oldest ride operator, is closing his family’s last remaining business here. “Jimmy McCullough and the McCullough family would like to thank our customers for generations and decades, and all of our business associates in Coney Island,” said his daughter Carol McCullough in an interview with ATZ in September. The McCullough family has operated amusements here for four generations and is related to the Tilyous of Steeplechase Park. In the 1950s, they had Kiddielands at Surf Avenue and 15th Street as well as Surf Avenue and 8th Street next to the Cyclone. 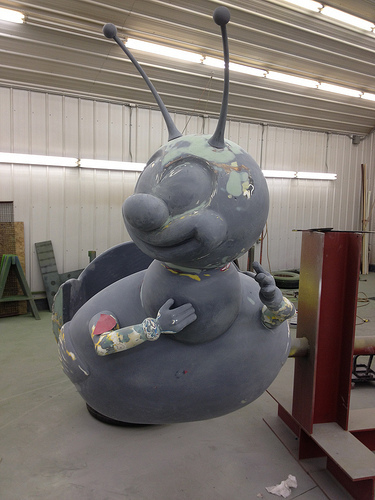 The Kiddie Park at 12th Street has been in operation since the 1960s and had ten kiddie rides after a sublease expired on an adjacent property also owned by Thor Equities. The McCullough family’s lasting legacy is the three historic wooden carousels that they once operated in Coney Island. The rides remain in New York City’s parks: the Prospect Park Carousel, the Flushing Meadows Carousel, and the B&B Carousell, which will reopen in Coney Island’s new Steeplechase Plaza in 2013. A family who has operated amusements in Coney Island for four generations and is related to the Tilyous of Steeplechase Park is closing their last remaining business here. We’re sad to report the news that McCullough’s Kiddie Park, which has been on 12th Street at the Bowery in Coney Island since the 1960s is closing this month. “Unfortunately we weren’t able to come to an agreement on extending the lease. Technically today is the last day,” Carol McCullough told ATZ on Labor Day, “but we might stay open another weekend or two or three, depending on the weather.” The lease with property owner Thor Equities leaves them until the end of the year to move the rides off the property. Although McCullough’s Kiddie Park has operated on 12th Street for fifty years, the family’s history in Coney Island goes back much further. Four generations of McCulloughs have owned and operated amusement rides here. They are related to the Tilyou family of Steeplechase Park as well as to the Stubbman family, whose Coney Island carousel became part of the one in Flushing Meadows. “My grandfather’s parents were James McCullough and Katherine Tilyou, who had eight children,” said Carol, who along with her sister has worked in the family business for the past twenty-six years. The McCulloughs were also traveling showmen. 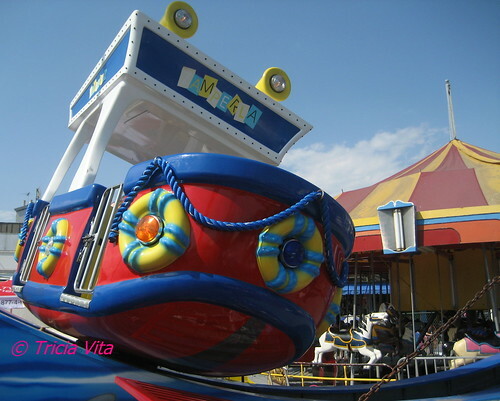 They owned and operated such rides as one of the first Zippers ever manufactured, the Round-Up and the Skywheel, which they brought to Toronto’s CNE and booked into fairs as independent ride operators. 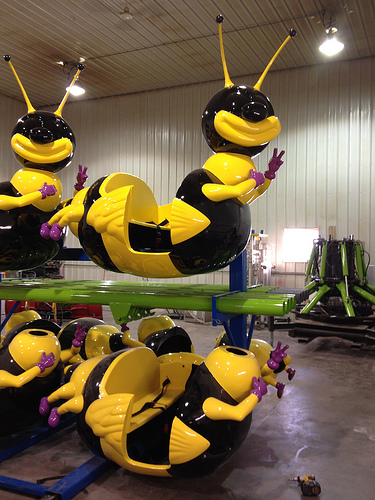 The park currently has ten kiddie rides: Bumblebees, Ferris Wheel, Carousel, Swings, Motorcycles, Yellow Submarine, Dizzy Dragons, Himalaya, Ladybug and Frog Hopper. Last year, McCullough’s had to be reconfigured and lost two rides after a sublease expired on an adjacent property also owned by Thor Equities. In the 1950s, the McCullough family had Kiddielands at Surf Avenue and 15th Street and Surf Avenue and 8th Street next to the Cyclone. 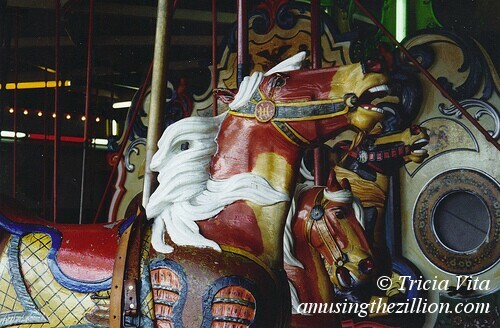 They also operated four historic carousels which remain in New York City’s parks. One of them was the 1912 carousel carved by Charles Carmel which was at 8th Street and is now the Prospect Park Carousel. The Stubbman Carousel, known as the Steeplechase Carousel when the McCulloughs operated it at 16th Street and the Boardwalk, was sent to the New York World’s Fair in 1964 along with some horses from Feltman’s and still operates in Flushing Meadows Park. 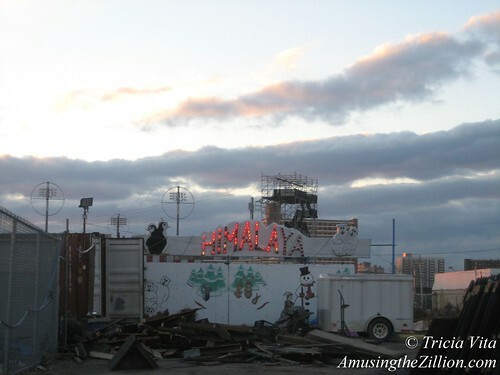 The third was the B&B Carousell, the last wooden carousel in Coney Island, which Jimmy McCullough sold to the City in 2005 after the death of his business partner Mike Salzstein. 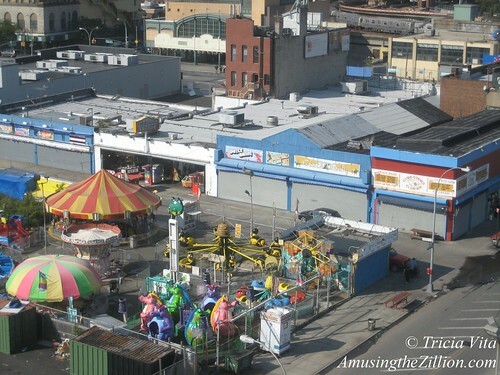 The restored carousel will reopen in Coney Island’s new Steeplechase Plaza next year. You can listen to Jimmy McCullough’s interview about learning the carousel business from his father, James McCullough, who began his career working on the Steeplechase and Stubbmann carousels, in the Coney Island History Project’s Oral History Archive. 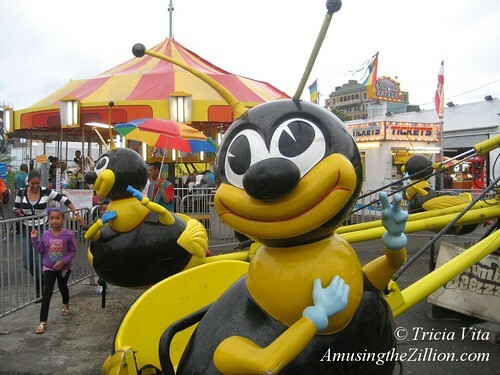 Coney Island’s much photographed Bumblebee ride and the kiddie rides surrounding it are part of McCullough’s Kiddie Park. 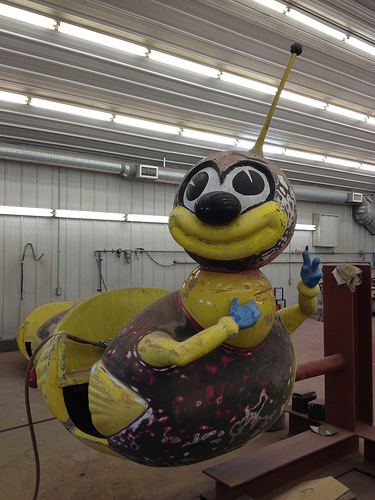 Located on the Bowery at 12th Street, the park has 12 kiddie rides and is open for the 2009 season. 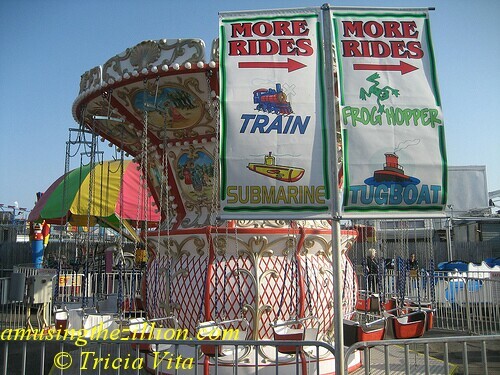 The rides are the Bumblebeez, Ferris Wheel, Carousel, Swings, Motorcycles, Yellow Submarine, Dizzy Dragons, Himalaya, Ladybug, Frog Hopper, Circus Train and Tug Boat. The McCullough family is related to the Tilyous and has owned and operated rides in Coney Island for many years and we hope many years to come! 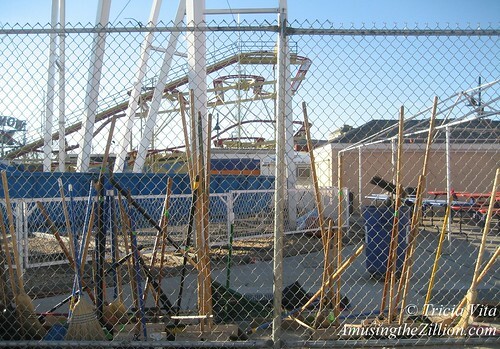 Although Astroland closed in 2008, Coney Island still has 52 rides up and running in the 2009 season.